Today, we finally disconnected the electrical umbilical cord, and made a break for the marina exit. We had blue sky and sunshine for our first journey of the year, although it was still a little chilly. Crick Tunnel was wetter than ever, and as we travelled through we caught up with a boat ahead, that appeared to be travelling exceptionally slowly. As we exited the tunnel this boat pulled over allowing us to pass. It turned out that it was a crew under instruction, and they were performing drills as they went along. On arrival at Watford locks we were ushered straight in by the lock keeper, then had an uneventful descent down the flight. At the bottom we carried on and picked up a mooring at our usual spot, on the straight just prior to Norton Junction. We quickly secured the boat, then it was round the corner to the New Inn at Long Buckby for lunch. Our intention is to remain here one night only, as we have an appointment at Calcutt Boats on Monday. 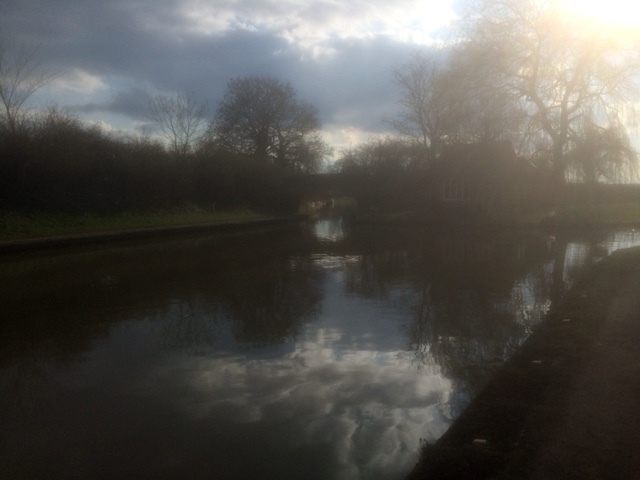 Norton Junction, where the Leicester branch of the GU and Grand Union Canal meet. Retired in 2014 and commencing our liveaboard life.This blog will be a written record of the research,design and build of our narrowboat ' Achernar ' and our travels around the inland waterways.